The Philadelphia Baseball Review released its College Player of the Week awards for the period ending March 4. 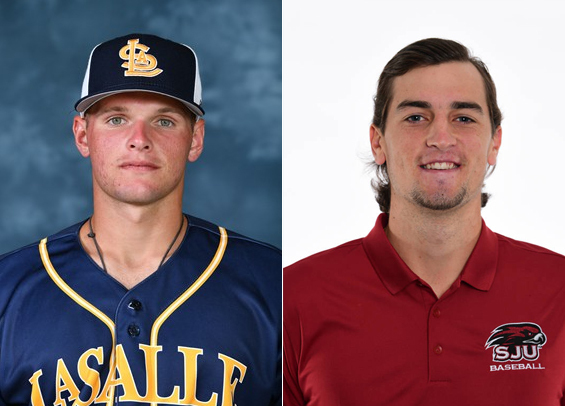 La Salle senior outfielder Brian Dudeck was named the Philadelphia Baseball Review's Hitter of the Week, while Saint Joseph's junior right-handed pitcher Tim Brennan was named Philadelphia Baseball Review's Pitcher of the Week. Dudeck hit .500 for the week (7-for-14) with a homer, triple, and a pair of doubles. He also scored three times and drove in seven runs for the Explorers. Brennan tossed six solid innings for the Hawks, allowing two runs on just one hit. He walked a pair and struck out nine.